You may be wondering why you should choose Escential Massage out of all of the other options available to you! What makes Escential Massage different from all the rest? We can tell you why!!! Escential Massage is a boutique Spa in Middleton, Wisconsin. We cater to each of our clients individually and take their needs into consideration with each and every appointment. At our spa, you receive a full 60 minute hour, not the shortened 50 min version other massage studios may offer! We believe in delivering the full time you deserve to take care of your needs. 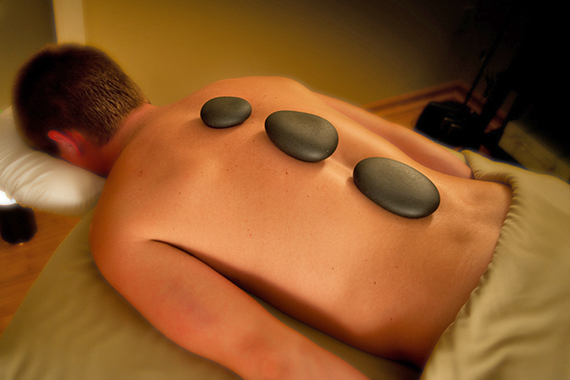 In addition, every massage includes aromatherapy, hot towel and a hot stone. We use a lotion enhanced with jojoba oil, arnica, aloe, herbal infusions and Vitamin E. This lotion is unscented, non-greasy, moisturizing and soothing to your skin. We use only pure, natural and undiluted essential oils. Our ESS oils are certified Organic, 100% pure essential oils grown naturally without herbicides or pesticides. Every oil we use has been CERTIFIED BY THE SOIL ASSOCIATION. Alba Botanica™ Very Emollient Lotion is a deep nourishing lotion for dry, thirsty skin. Exquisitely light and rich in natural emollients, it penetrates quickly to restore optimum moisture balance. Formulated with a blend of aloe vera, green tea, echinacea, chamomile and lavender. We use luxurious spa linens! Come experience the difference on your skin with our soft, silky sheets. Made of 100% recyclable premium microfiber are Eco friendly and also available for your home in five different colors.